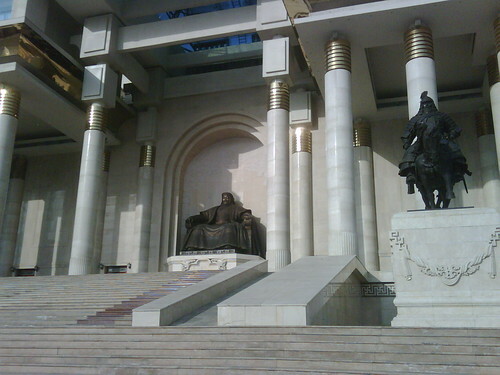 Chinggis Khan statue, originally uploaded by nobodaddy69. Why don't you quit sounding so thick and look it up? In your last comment you said it was Ukraine, and went on about your sister's brother's mother's dead dog. Ffs, are you for real? ok let me help you, it's MONGOLIA. There, happy now? I thought he was called Genghis Khan.